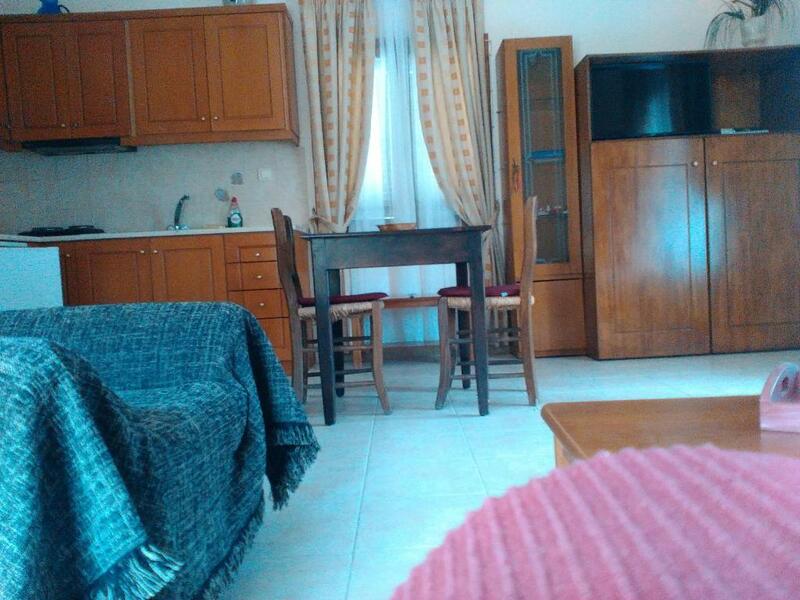 Fantastic dream location in the Maridatis valley full of olive trees and 200m to a beach almost for our self. Also close driving distance to other beaches and to the closest small city Paleokastro. It's not close to touristic centre which makes it very nice for the lonely traveller. The beach is on walking distance (okay I took the car every time) and really quiet. The apartments are very spacey, clean and the beds... they're very good. The road to the accommodation has it's own characteristics and although I was driving in a C1 it was possible to get there. Nice it that the owners have a taverna on te other side of the building. There's enough to choose from and cooked with love and joy. It was worth the 2,5 our drive from Heraklion. Die Unterkunft punktet mit einer sehr ruhigen Lage in unmittelbarer Nähe zu einer sehr schönen kleinen Bucht mit Kiesstrand. Die angeschlossene Taverne hat ebenfalls eine prima Lage. Die Gastgeber waren sehr nett. Un paesaggio meraviglioso immerso in una natura incontaminata. 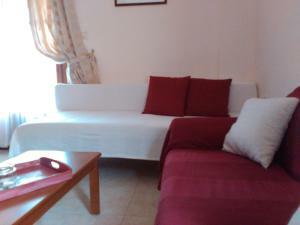 Appartamento molto comodo. Taverna dove mangiare ottimo cibo greco e pesce. A soli 50 metri una spiaggia bellissima. Posizione fantastica lontano da tutto ma a 5 minuti a piedi da una splendida spiaggia poco frequentata. L’ideale per una vacanza in totale relax. Appartamento molto grande con cucina. Nella struttura c’è anche una buona taverna. Апартаменты в оливковой роще, в отдалении от туристической суеты. Собственный пляж в 5 минутах ходьбы. Идеальное место для тихого и спокойного отдыха. Хозяева очень дружелюбные. В таверне при отеле всенда свежея и вкусная еда. По выходным живая музыка. Wir haben die Ruhe im Tal, die Natur um uns herum und die Unterkunft - einfache Ausstattung, aber alles da, was man braucht - sehr genossen. Nur 150 m bis zu einem schönen Stand mit klarem Wasser. Alles perfekt! Le lieu magnifique,à l écart de la ville et au milieu de la nature,et surtout la gentillesse exceptionnelle de nos hôtes,qui nous ont accueillis comme des amis. Lock in a great price for Maridatis Apartments - rated 9.4 by recent guests. One of our bestsellers in Palekastron! 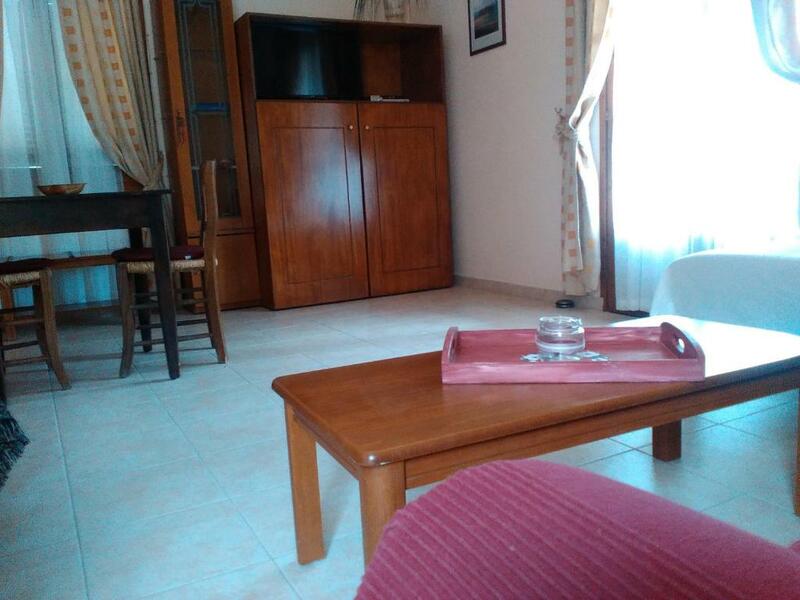 Only 150 yards from the Maridatis Beach in Palaikastron, Maridatis Apartments is a self-catering accommodation featuring a sun terrace and garden. Free Wi-Fi is available. The split level apartments come with a TV, balcony, and seating area. 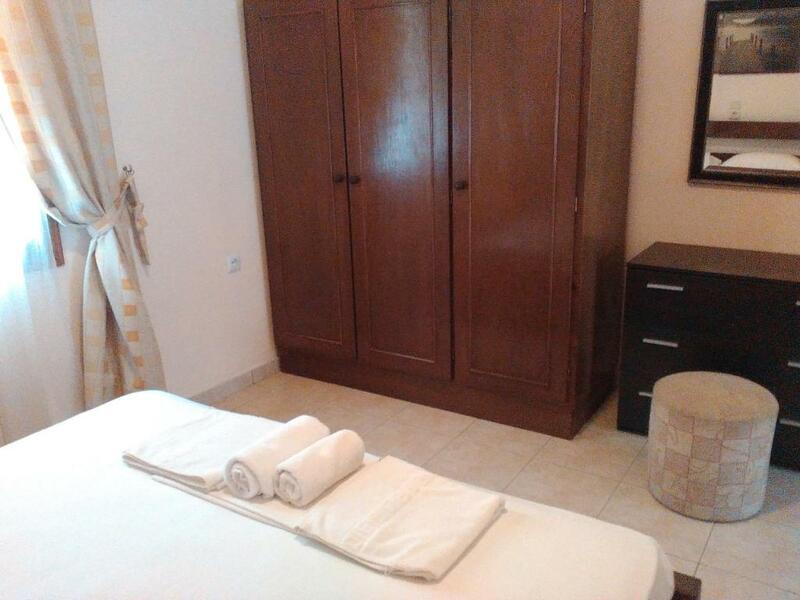 A fully equipped kitchenette with fridge and electric kettle in included. Featuring a bath or shower, the bathroom comes with free toiletries. The studios come with a kitchen, bathroom and a large common space serving as a seating and sleeping areas. Some of the rooms have air conditioning. 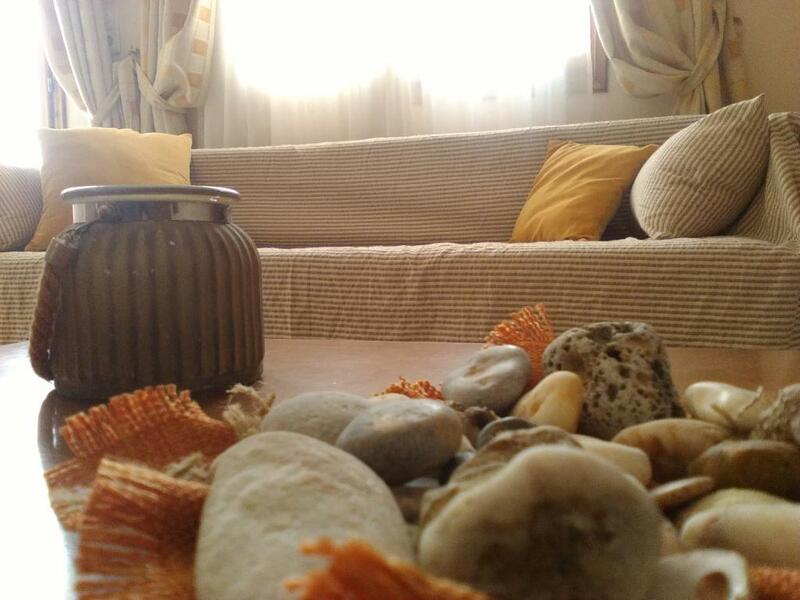 All rooms offer view of the sea and surrounding area. There is a tavern right next to hotel with traditional meals owned by the hotelier and breakfast is served a la carte. 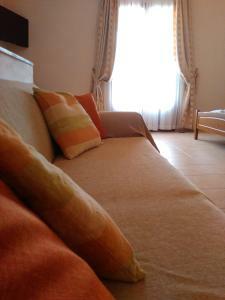 Maridatis Apartments is only 1.9 miles from the centre of Palaikastro on the road to Vai. Siteia is 12.4 miles away and Sitia Public Airport is located 9.3 miles away. Free parking is offered on site. This property also has one of the best-rated locations in Palekastron! Guests are happier about it compared to other properties in the area. 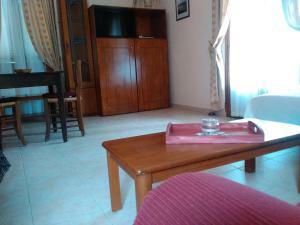 Maridatis Apartments has been welcoming Booking.com guests since 27 Sept 2013. When would you like to stay at Maridatis Apartments? This studio comes with a kitchen, bathroom and a large common space serving as a seating and sleeping areas. All rooms offer view of the sea and surrounding area. This apartment comes with a TV and balcony with views. 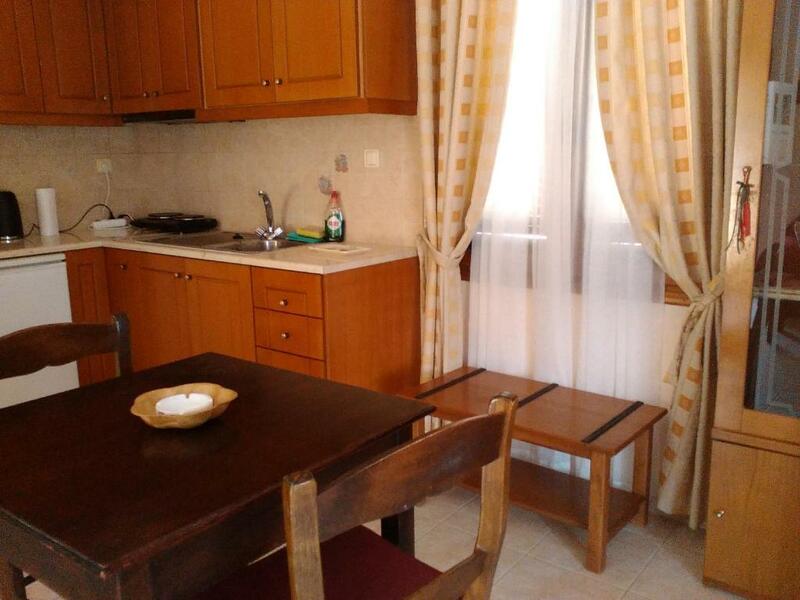 A fully equipped kitchenette with fridge and electric kettle in included. Featuring a bath or shower, the bathroom comes with free toiletries. This split-level, air-conditioned apartment comes with a TV, balcony, and seating area. 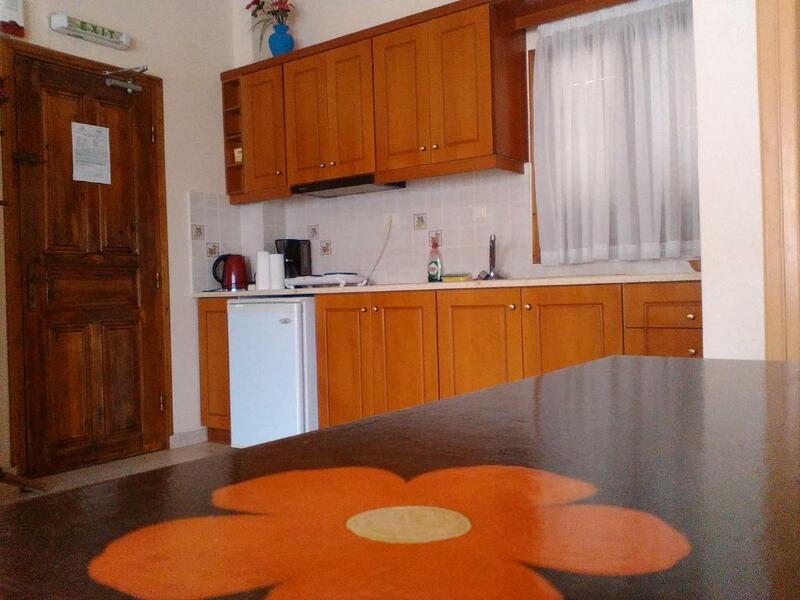 A fully equipped kitchenette with fridge and electric kettle in included. Featuring a bath or shower, the bathroom comes with free toiletries. House rules Maridatis Apartments takes special requests - add in the next step! Please note that in order to reach the property, guests will have to drive on a dirt road for 0.7 miles. Please inform Maridatis Apartments in advance of your expected arrival time. You can use the Special Requests box when booking, or contact the property directly with the contact details provided in your confirmation. Everythink plus best fish i'v ever eaten.